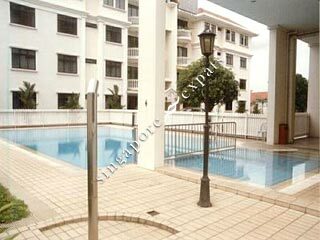 Hillside Mansion is a low density low rise condo located at Hillside Drive, off Upper Serangoon Road. It is situated in a quiet private residential neighbourhood consisting of mainly low rise condos and landed houses. Hillside Mansion is within short walking distance to the Kovan MRT Station, Upper Serangoon Shopping Centre. Hougang Town Centre and Serangoon Gardens (Chomp Chomp) is within 5 minutes drive away. The Australian International School is also located nearby at Lorong Chuan. Amenities are aplenty along Upper Serangoon Road, Yio Chu Kang Road and Hougang Town Centre. Hillside Mansion is accessible via the nearby Central Expressway (CTE) which takes about 20 - 25 minutes to the Central Business District.